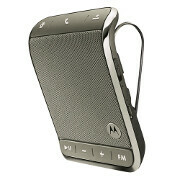 Do you remember that sweet giveaway that we did last month - the one with the two Motorola ROADSTER 2 handsfree units? Well, we now have confirmed winners! The lucky people are our users charlesmont and mnp188 - congrats! It sure feels awesome to be part of an initiative which aims to make our streets a safer place to be. For those who didn't win this time - life is full of ups and downs, guys! But don't worry, we'll be doing many other giveaways in the coming weeks, months and years, so who knows, maybe next time you'll be the one to walk away with a new gadget. Until then, don't forget - always use a handsfree if you're going to be making calls while driving!